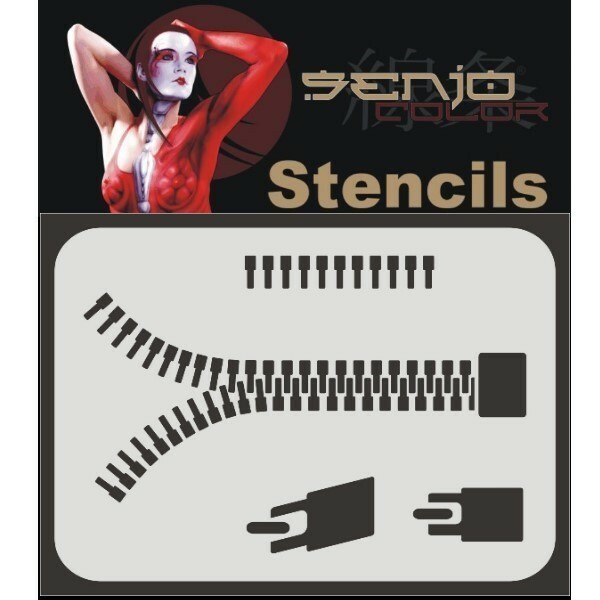 Senjo stencils are from 0,3mm strong polyester film produced and this is much more stable than most on the market templates. We have with many images left a very wide margin. This prevents ugly overspray on the edges. They are solvent-resistant and can even be cleaned with acetone. 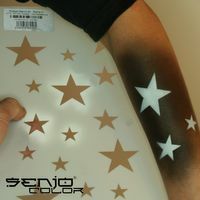 Application with airbrush or Brush for Bodypainting, tattoo, Hair Tattoo, Wall Tattoo, modeling, etc.